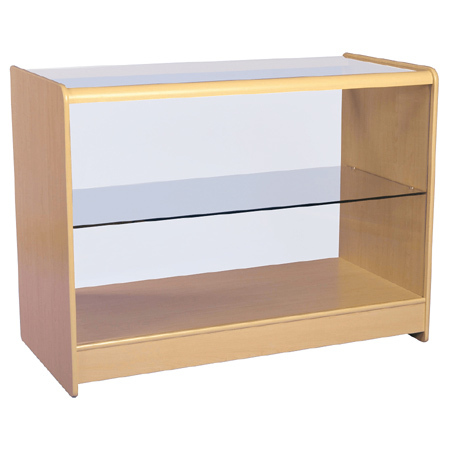 Glass Fronted Showcase (Maple Finish). 1200mm x 600mm x 900mm (L x D x H). Contructed from durable 15mm MDF. 8mm thick glass top with one glass display shelf.